Search engine optimization is not as easy today as it was before. With Google employing intelligent algorithms to filter and penalise bad links and potential spam, every webmaster’s top priority should now be to ensure that their website has a clean link profile. You definitely don’t want to be in danger of being de-indexed by Google, as a penalty for containing high-risk back-links. But you might ask yourself: where is exactly the line between a good and a bad link profile? Would a couple of directory listings be able to kick your website out of Google’s index? Should you forever forget about commenting on forums, being afraid that it might hurt your rankings? 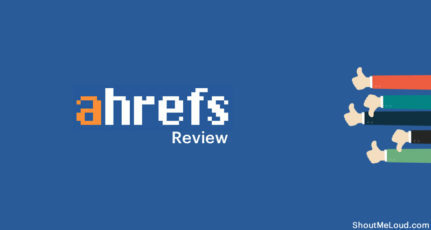 Here are some tips that will help you get an objective evaluation of your link profile and enable you to improve it up to the point where it does what you expect it to: help your website achieve high rankings in SERPs. What A good Website link profile is made up of? Each component is equally important for determining the quality of your link profile and each can trigger a penalty from Google if mismanaged. To evaluate a website’s link profile, you would typically ask two questions: How many links does it have? and How much value are these links passing? Having an enormous number of backlinks to your website might sound like an advantage, but in reality that greatly depends on the number of LRDs your website has. For example, having tens of thousands of backlinks from just a couple of domains definitely looks like a sign of manipulation, agree? Therefore, I don’t recommend you to limit your analysis to raw metrics but to also correlate them to each other. An even more in-depth backlink analysis consists of comparing the number of backlinks by source: from blogs, forums, directories, etc. Although in a natural link profile, the links coming from domains with very high authority are considerable less than those from medium or low authority, the backlinks’ distribution by their authority should not be disproportional. You should be aware that a link profile with a majority of low authority links will not only appear of poor quality to Google but might also attract a penalty. Beside the raw number of exact/partial/branded match backlinks, you might also want to monitor the relation between these metrics. For example, while the raw number of exact match backlinks is just a number, by looking at the ratio between exact match and branded links you will be able to get a reliable indicator of whether your link profile looks over optimized or not. When starting to build links for a new website, you might be tempted to go first for the easy links just to see them piling up and hoping that they’ll give your website a quick boost in rankings. But that might not be the best idea though. Just keep in mind that quality is always better than quantity, and you stay out of trouble. Aggressively building links for a site is the worst thing any webmaster could do for his website. Building massive amounts of links over a very short span of time results in Google detecting an “unnatural link behaviour”, qualify it as suspicious activity and penalize it. The best way to build up the links on the site is to do it gradually and consistently, over a period of time. When building links, you might find yourself focusing only on one method and ignoring the rest. But this results in achieving an unnatural link profile and increases the risk of Google detecting some sort of manipulation. Even in the case of a technique that has been proved to be effective and “safe”, such as guest blogging for example, if used massively, it can turn against you and do more damage than good. 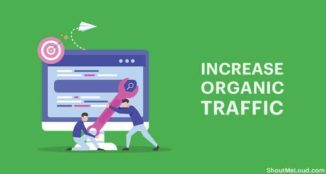 Although it would take a lot of time to work on multiple link-building strategies, it would most definitely be well worth the wait. 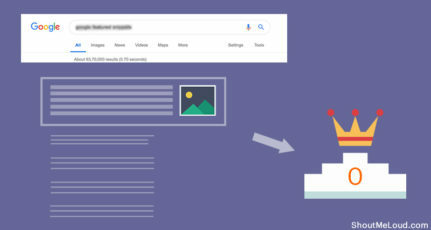 Although the latest Google Hummingbird update does not have a direct impact on the techniques used for link building, it changes something even more important: the methodology for determining a website’s relevancy for a topic. And for link building, that means co-citation. Make sure the backlinks you get are relevant for the topic of your pages, rather than anchor text optimized. Certainly, the time of aggressive link building has passed. 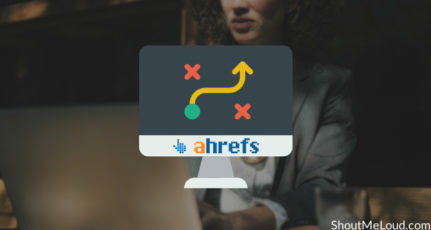 In fact, when it comes to vigorous techniques, each and every one of the SEO techniques is bound to be detected as suspicious or unnatural, if they are employed without discrimination. The thing that actually works is a combination of “safe” techniques employed with moderation, instead of going for a large-scale approach. I would like to know what do you focus more when building links for your Website? Do you prefer quality over quantity or vice-versa? Do share your opinion and if you enjoyed reading this article, do consider sharing it on Facebook and Google plus. Nice tips. Tell us something more about anchor text. How should we vary them and is nofollow comment link worthy? I’m glad you found the article useful. Basically if you run an anchor text distribution analysis for your website and competitors you will be able to compare the anchor text variations you and your competitors use, and figure out what to do in order to remain “safe”. Can you please suggest me which is very nice tool which involve website analysis, competitor analysis, back-links analysis & some other thing of seo that is provided by only one tool﻿. I Will Be Very Thankful in This Regard. 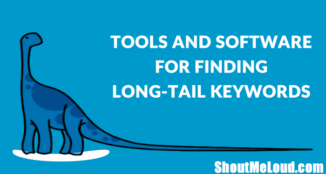 Please tell me which SEO tool is best which will help me to analyse and operate easier. My answer to both yours and Zeeshan’s question cannot be other than Advanced Web Ranking 🙂 I’m biased since it’s created by the company I work for, but it does all the things you asked about (and does them very good) and to see if you like it as well, you can simply check it out for free. The analysis presented in this post was also performed with AWR. A great post, but there are many good questions raised after the post. How do you decide anchor texts while checking out the competition? How do you beat them at their own game? Also should you concentrate on getting nofollow or dofollow backlinks? Nice tips Dana. I also want to know the tool with which you did this analysis. I’m glad you liked the post. The analysis was made with Advanced Web Ranking for desktop (the online tool does not have integrated the link module yet). Linking to a post increases Domain Authority of main domain? What I mean is, If I get back link to my article – http://www.xyz.com/xyzabc , does the link juice passes to the main domain xyz.com or only the article link will be benefited? The domain link metrics (domain authority, domain mozrank) are calculated based on all links pointing to all pages of the domain. Therefore, any link added to any page of your website will not only improve the page metrics, but also the domain metrics. Crucial points has been discussed. I generated 25 backinks in 4 months slowly and gradually. I guess backlinks should be made as natural as possible otherwise Google will kick you. Absolutely, Shakti. Thanks for the comment! When building natural links, it’s not just that you are avoiding “the kick” but you will also get much more value for your website. A clean and natural link profile will protect you against any future Google updates against spam link building tactics. 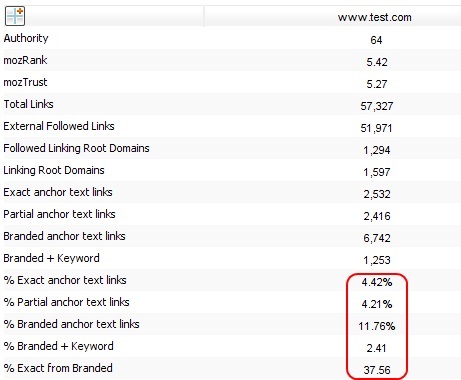 Anchor text distribution is an important factor and you should always maintain a good ratio between generic and keyword anchor texts. I just wrote an article that explains how to export your complete backlink profile from Ahrefs and Majestic SEO for free without having to upgrade to a paid plan. I think it will be useful for the readers of this article. there are many good questions raised after the post. How do you decide anchor texts while checking out the competition? To answer your question, let me give you an example. If you are optimizing a page of your website for the keyword “X”, you need to perform a link analysis for the websites that are also ranking for that keyword (the top 10 search results mostly). What you will be looking for is their anchor text distribution strategy (the proportion of branded vs non branded, exact vs partial match etc) and the keyword variations they use (get ideas about the variations they use for the keyword you are targeting). By comparing your link profile with theirs, you can precisely quantify the amount of effort you need to put into your link profile in order to outrank them in search results. The Keyword Difficulty tool is designed to do this SERP analysis. You can find it in AWR but also on Moz, with a Pro subscription.